Again, Corticobasal Degeneration is a very rare dementia type. This neuro-degenerative disorder is similar to frontotemporal dementia in that it bears very strong clinical, genetic and pathological similarity. The death of nerve cells and atrophy of areas of the brain are factors common to all dementias. Sufferers tend to be between the ages of 45 and 70 years of age. This makes it an early-onset dementia. Age is not regarded as being a factor leading to the degeneration of the brain in this disease and neither is Lifestyle. The first indicators that a person may be suffering a condition indicative of CBD can be either physical or cognitive deficits. From gentle beginnings a person may discover stiffness or jerkiness in limb movement. This progresses to uninitiated limb movement such as uncontrolled hand movement called Alien Hand Syndrome. 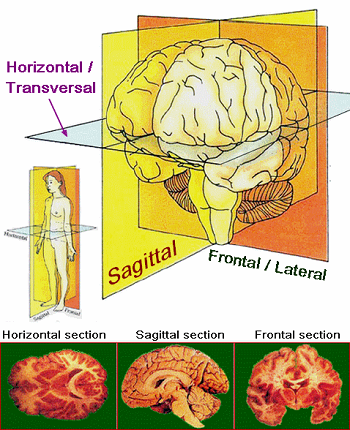 As the brain continues to be damaged at the cortex or basal ganglia level this independent limb movement progresses to other limbs on the same side of the body. The sufferer will also tend to present with an increasing tendency to lose balance and be vulnerable to frequent falls. To an observer these symptoms will be a clear indication that there is something seriously wrong with the person. It is the cognitive deficits that will suggest a dementia of some type. The cognitive deficit symptoms as the disease progresses can also bear a similarity to early stage Behavioural Covariant FTD (bvFTD). A person can become obsessive and behave and talk in a manner that is inappropriate. Corticobasal Degeneration is a disease that overlaps with FTD and shares some symptoms with Huntington's disease, especially personality changes, as mentioned above. Language difficulties will become more and more apparent and the person will present with obsessive compulsive disorder and impulsiveness. As the disease progresses it causes shrinkage in the cortex (outer layer) of the brain and the basal ganglia (deeper in the brain). You will have already read that Heinrich Lewy (Lewy Bodies) and Alois Alzheimer (Alzheimer's Disease) discovered a number of unusual proteins in the brain that cause behavioural and physical changes in a person. One protein in particular seems to be prevalent in a number of different types of dementia, namely Tau. What causes the build-up of this cell toxic protein is not specifically known; however, it is thought that there may be a genetic initiator to its occurrence and its subsequent progress in causing irreversible injury to the brain. In Corticobasal Degeneration this comes in the form of shrinkage in brain and physical and cognitive symptoms. Again, this dementia type is problematic in its early stages because it can be misattributed as Parkinson's Disease because of the physical symptoms. One indicator that it is not Parkinson's Disease is that the physical conditions do not respond to the drugs that can ameliorate the physical symptoms of PD. Also, the cognitive deficits can also lead to an incorrect diagnosis because they are generalisable to a number of other dementia types. Based on the cognitive deficits CBD can be misdiagnosed as either Alzheimer's Disease or Frontotemporal Dementia (FTD). Because the cause of Corticobasal Degeneration is not known there is currently no cure.